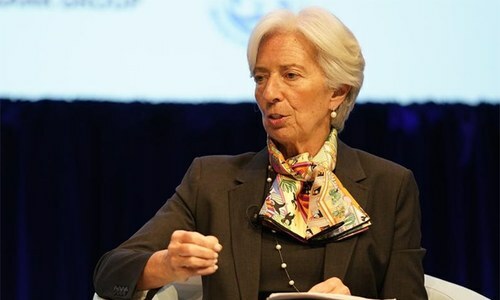 The International Monetary Fund (IMF) on Monday said that it held "constructive discussions" with Pakistani authorities during last week's spring meetings in Washington and that its mission will be visiting Pakistan "before the end of April to continue the discussions" on a bailout package. The announcement was made by the Office of the Resident Representative of the IMF in a press release following reports that the IMF mission's visit of Pakistan for finalising the package may be delayed as both sides are still engaged in an intense discussion. 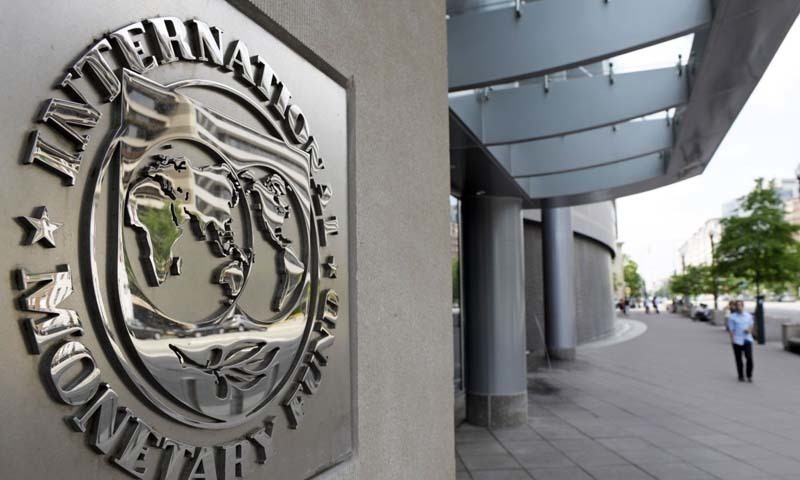 "The Pakistani authorities and IMF staff held constructive discussions during the IMF/World Bank Spring Meetings in Washington DC towards an IMF-supported programme," the IMF statement said. "At the request of the authorities, an IMF mission will be going to Pakistan before the end of April to continue the discussions." Meanwhile, Minister for Revenue Hammad Azhar said that an "agreement in principle has been reached on all outstanding issues with IMF" and that "formalities will now be finalised during the IMF's staff level visit to Pakistan". 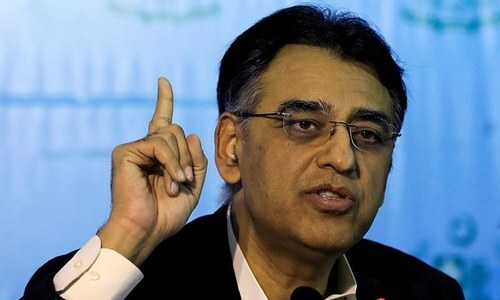 It is pertinent to mention here that Finance Minister Asad Umar, who led the Pakistani delegation at the spring meetings, had also said earlier this month that the mission would visit Islamabad soon and an agreement should be signed by the end of this month. 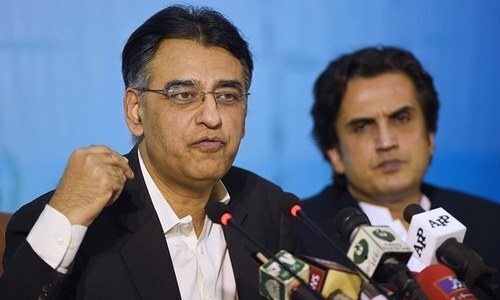 The finance minister went to New York on Friday but his team, which includes senior officials of his ministry and other government agencies, stayed in Washington for further talks — Dawn reported. At a Thursday night news briefing in Washington, Umar had said the two sides had “more or less, reached an understanding” on the bailout package and “in a day or two, we hope to reach a full agreement”. The finance minister is likely to visit China on April 25 for talks on the IMF concerns over CPEC and IMF will wait to hear from him before it finalises the bailout package, the sources said. Meanwhile, both sides are engaged in “fine-tuning” the details of the proposed IMF programme. Pakistan wants the IMF to review some of the conditions it has attached to the package while the IMF insists that those conditions are absolutely essential for a successful completion of the programme. Pakistanis point out that this would be their 14th package with the IMF, if finalised. They argue that the conditions attached to previous programmes were also not fully implemented because they were too restrictive. Pakistan wants the IMF to focus on long-term structural reforms that help revive its economy instead of attaching conditions that would be difficult to implement. During negotiations on the new package, the Pakistani delegation told the IMF that they “do not want to commit to what we cannot implement”. Some of the conditions proposed by the IMF include: making the State Bank independent, a market-oriented exchange rate, expanding the tax target by Rs5,000 billion, ending income tax concessions, more taxes on salaries, narrowing the amount of taxable income from Rs12 lakh a year to Rs4 lakh, reducing electricity and gas losses, no government interference in Nepra and Ogra policies, Rs140 billion electricity and gas revenue losses be recovered from consumers. 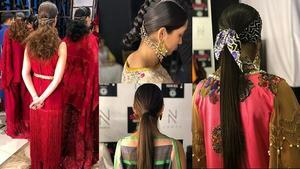 The sticking points, however, are the demands for market-determined exchange rates and sharing details of Chinese loans which Pakistan is reluctant to do. The IMF is also demanding details of more than $6.5bn of commercial loans Pakistan has received from China in the past two-and-a-half years. In July, China also deposited $2bn with the State Bank of Pakistan. Securing a loan itself is an achievement for nuclear country ! Very confusing. On again - off again. After weekly and daily change in stance , it’s a situation where even morning and evening news are different. Still more discussions? At this rate we will have a new PM and FM by the time IMF approves the bailout. It's bitter pill considering poor economic situation but necessary for good health in future. The visit is on "Pakistani authorities" request. They do not want Imran Khan to look bad. @RDM, That's true given that North Korea hasn't secured any loan. It's certain that IMF will only agree after cent percent ensuring only constructive and developmental use of loan amount. What happened to all most Pakistanis get imf package by FM? Government is scared to come out with the conditions of CPEC loans. If the conditions were too bad for Pakistan, PTI government would have happily disclosed it n blamed NS. BUT it's the pressure from China that it is not able to do so! To continue 'constructive discussion' ? Really. For how long?? Who will pay the cost for the visiting IMP mission? So this whole fiasco showed the difference between the ability of a seasoned Chartered Accountant and an established MBA. Mr. Dar used to get these programs without any delay and without putting the burden on the people with measures such as the devaluation of PKR. Salute to Mr Dar from a PTI supporter. Cpec is a debt trap for Pakistan and IMF knows it better than Pakistan. Why simply China deposits money in state Bank without any conditions (China has conditions which IMF only knows) It's like keeping money in Swiss bank by an individual, upon his suddenly death will all money goes to Swiss government if you forgot the locker code. Something similar with Chinese loans. AU should reveal all fineprint of all Chinese loans and get IMF loan instantly. Please do carry on with the constructive discussions for at least the next couple of years. That will surely help Pakistan get out of the troublesome situation without seeking recourse from any shylocks of our times. @Just Do It, Whimsical views. Pak pays 30% for petroleum & mineral fuels. Rest 70% is commercial imports. Just anounce new 50% restrictions on commercial importers, like they can only import half the amount of previous year imports. All will then be ok. Such restrictions may be on trial basis for one year, it may be rationalized appropriately each year, atleast there will be no trade deficit. @Ash Man , Well said. FM said, we almost got the loan. But discussion is still same place where it was few months back. Still discussion and no conclusion. But last week PAK minister said almost finalized. But still discussion pending. Pakistan's economy is in shambles due to continuous immature political and economic handling by the successive Governments.Pakistan may take example from India and fix its economy. The more this is delayed the worse it becomes for Pakistan, the best would be for Pakistan to take the money accepting all the conditions and the default like the other 13 times. Americans will never learn. The never ending saga of Govt.of Pakistan and the IMF continues.Conclusive outcome not yet in sight? Pakistan is going to China to try and hold a gun to them - give us loan or let us share CPEC loan details with IMF - and they will learn the hard way that China is not US (and does not give free loans) and negotiating with Chinese and is not easy. Pakistan is between a rock and a hard place. It wants IMF money for a record 13th time in 30 years but if the IMF gives the money on its terms, the Pakistani Rupee will be at 200 against the USD within one year. Which means that all interest payments on loans taken from China & others will increase by 30-40%. Its a tough situation indeed. It seems like one year of government will pass in talks only. IMF has refused the loan as per international news. They would review it again in May. There are strict conditions. @Bhaktawar, you can not do it. See Malaysia , placed much better than Pakistan , accept to continue rail project with little modifications. because of shark like fine of 5 billion US$. In case of Pakistan it may be much worse. Struggling to get bailout package and you are comparing your economy with India!!!! @Must learn, can you point out which items should be restricted and what is their total cost? It should be a daily drama in TV. Pakistan and China relationship is separate should not be part of loan conditions. Under no circumstances peak should open up financial and CPEC dealing with china to IMF loan or no loan. It was evidently clear that apart from structural & institutional reforms constantly demanded by the IMF, bone of contention remains to be transparency of CPEC agreement. After the US, being major contributor of IMF, raised objections to bailout package funds not to be used for debt repayment of CPEC loan, it has become imperative that IMF must thoroughly vet the term and conditions of the said agreement. Now it has become the main impediment in the approval of the bailout package because apparantly the CPEC agreement disallows its scrutiny by others. Therefore, the sole reason of FM visit to China will be a turning point in the finalization of deal with IMF, earlier announced to be signed in this month and now postponed to coming June. Adding to this paraphernalia other demands i.e. independent SBP & gas Companies, free float of currency, tax collection target of 5000B, earning beyond 0.4M as taxable, increasing tariffs of electricity/gas etc.will be a much bitter pill to swallow. Currency devaluation ahead!! 200-250 per US dollar and that will result huge inflation as Pakistan is an import nation. Very alarming neighbours!! This can lead to anarchy Anyone now?? CPEC As Game changer?? @Bhaktawar - Pakistan has no leverage over China and is completely dependent on it diplomatically, militarily as well as economically. The Chinese know that very well and will squeeze every last penny from Pakistan. The Pakistani establishment will soon realize that the US is an angel compared to China. "Conditions proposed by the IMF include: making the State Bank independent, a market-oriented exchange rate, expanding the tax target by Rs5,000 billion, ending income tax concessions, more taxes on salaries, narrowing the amount of taxable income from Rs12 lakh a year to Rs4 lakh, reducing electricity and gas losses, no government interference in Nepra and Ogra policies, Rs140 billion electricity and gas revenue losses be recovered from consumers" - Leave economy, whether people could survive these catastrophic reprisals. @RDM, Sir, try getting a loan when you are totally bankrupt and lenders have no confidence or faith of your paying back the loan. No one knows how and from where Pakistan will ever get the money to pay back. Them thou shalt realise how big an achievement it is to get a loan. Sometimes when after Pakistan gets a loan I wish I was there to see the celebration and fireworks and the excitement on everyone's face of victory. Why are so many Indians here to comment on Pakistani affairs? They act like great sympathizers of Pakistan. @Darren, Because Pakistan is our neighbor.If neighbor's home catches fire than you should douse it befote fire spread to your home also. Pakistan is waiting for India's election result. very tough conditions and government wants the money so badly, it will sign on any dotted line. @Must learn, "Rest 70% is commercial imports. " Pakistan also imports tea,vegetables, medicines, fertilisers, cooking oil. Do you recommend a 50% cut on that as well? I thought IK did not want IMF money. Is this another U Ture? Asad Umar is clueless and he does not have the right background in Finance and Economics. It is not his fault. IK need to understand the capabilities of his staff and not put the country at risk. Minister Hammad Azhar says agreement in principle reached on all outstanding issues. However IMF only says "The Pakistani authorities and IMF staff held constructive discussions during the IMF/World Bank Spring Meetings in Washington DC towards an IMF-supported program. At the request of the authorities, an IMF mission will be going to Pakistan before the end of April to continue the discussions." This indicates that no such agreement has been reached. Even in November 2018, IMF had said it had held constructive discussions with Pakistan. It was code for saying that no agreement has yet been reached. Why does the government want to keep all the CPEC deals secret from everybody? If they were bad, it's the previous government that made them. Or is it China that does not want them shown to anybody else? And, if so then why? PM IK complete silence is baffling. @Darren, it is nothing to do with sympathy but their anxiety to the success of ongoing CPEC program. The CPEC for all practical purposes is an economic engine, if successfully implemented, will change the economic fate of Pakistan and the same time, provide China access to the Indian Ocean, not a very compromising position for India. This is the only reason that it is countering China’s development of Gwadar port with its own investments in Chan Babar port, in close vicinity of Gwadar, in Iran. It is a foregone conclusion that this is political power game, and we Pakistanis are under no illusion to accept such comments on their face value but to the contrary. @Mian, because this discussion is not Kashmir related. I don't understand why with CPEC, we still need to go IMF. The IMF is a US stooge. We should instead have a closer strategic relationship with China, and ask them to invest more in CPEC. That will enable us to kick-start our economy, and become a major power. China is our iron brother, America is not. Another way of saying ‘still not convinced. We’re coming to your house to speak to your neighbours and see for ourselves. @Veer Singh, Your comments show a lack of understanding about Pakistan-China relationship. China is not interested in Pakistan for making money, rather their interest is in its strategic location. Chinese always take the long view unlike the US, and it shows in the consistent relationship China has had with Pakistan as opposed to the up and down relationship with the US. It is in China's interest that Pakistan become a strong country only then will it enable China to achieve its objectives vis a vis India, Indian Ocean, Western China and the Arabian Gulf. Much of the aid that the US gave to Pakistan since 2001 went to the Military to buy expensive US weapons and to US consultants. Very little of that money went to help Pakistan with infrastructure and industrial development. Chinese assistance in the past helped Pakistan develop its defence industry and the current investment in CPEC is in infrastructure and power development. Future plans include investments in industry and agriculture and will help Pakistan increase its exports. @K. Aksay Gul, I thought before elections he was against IMF loans. Before end of April?....................did they mention which year? There was a $5BUSD penalty clause in Malaysian Chinese rail projecet. Do IMF want to know how many such clauses are there in CPEC? If borrower is strong, clean and servicable, lendor will queue up to give loan. After all what banks can do with the stash of cash they have? Either Pakistan has completely surrendered to IMF for financial assistance or IMF continue to delay the package to witness desired changes and implementation of policies within Pakistan before release of the bail out package. @Darren, Oh yes, India has nothing to do with Pakistan’s policies. Why Indians would bother about a neighbor with whom it does zero trade, zero tourism, zero cooperation and for whom it has such large military spending. @A shah, from which credible source you get this information - 2nd largest economy and world's fastest growing economy. India is the 3rd largest economy in Purchasing Power Parity in the world. You can check it online.